1) As per sub-rule 1 of Rule 10 of Nidhi Company Rules 2014, a Nidhi company may open branch office only if it has earned net profits after tax continuously during the preceding three financial years. Because they have not earned profits for three consecutive years. a) It has earned profits in previous three years continuously. d) It can’t open any branch outside the district without prior approval. e) It can’t open any branch outside the State. 3) As per sub-rule 3, if a Nidhi recommends opening more than 3 branches within the district or any branch outside the district, it shall obtain the prior permission of the Regional Director and an intimation is to be given to the Registrar about the opening of every branch within thirty days of such opening. 4) As per sub-rule 4, no after registration of Nidhi Company shall open a branch or collection center or office or deposit center or by whatever name called outside the state where its registered office is incorporated. 5) Also as per sun rule 5 A Nidhi company shall open branches or collection center or any office or deposit center unless it has filed its financial statement and annual return up to date are filed with the Registrar. b) A Nidhi company is required to fix a copy of such advertisement or a notice informing such closure of the branch on the notice board of Nidhi for a period of at least 30 days from the date from which the advertisement is published. 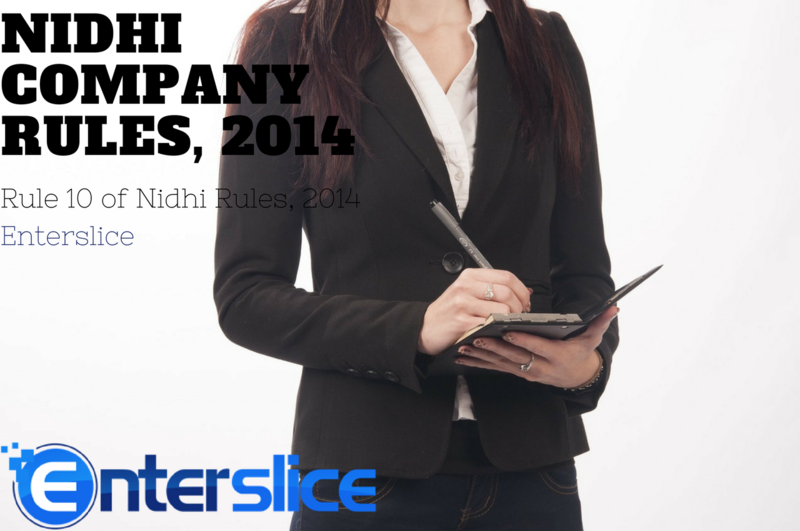 Nidhi Company registration rules have been introduced by companies act 2013, there is a limited area of operations for Nidhi Company though it has been preferred by the most of social entrepreneurs.